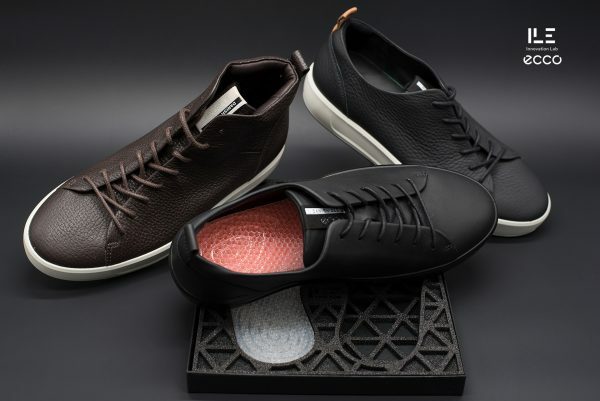 The FashionLab by Dassault Systèmes has been collaborating with ECCO Innovation Lab on a 3D print footwear project. This project has been revealed this week during the FormNext event in Germany. ECCO Shoes has just introduced its experimental augmented footwear project, during the international exhibition and conference on the next generations of manufacturing technologies ‘Formnext’ in Frankfurt. 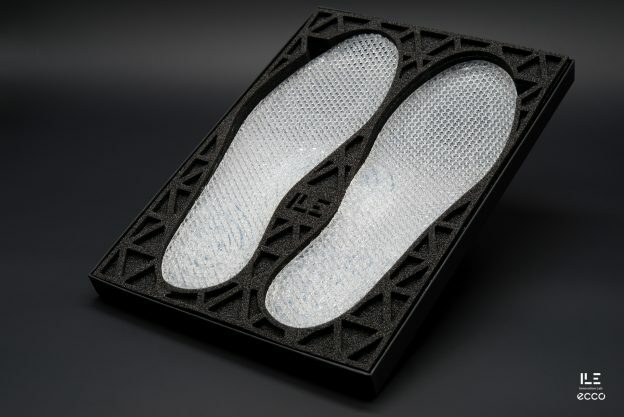 Thanks to this project, done in collaboration with the FashionLab by Dassault Systèmes, consumers selected internationally will soon get the chance to have their shoes customized with midsoles made using data captured by wearable sensors and 3D scanners generating a full digital analysis of individual feet and motion. Shoes will be automatically engineered to a wearer’s unique biomechanical and orthotic parameters representing a revolution in ultimate engineered comfort. Within project Quant-U, the Innovation Lab ECCO collaborated with the FashionLab, Dassault Systèmes’ technology incubator dedicated to the use of 3D design, simulation and collaboration applications in consumer goods and fashion, to develop a powerful self-learning system based on our own algorithms. 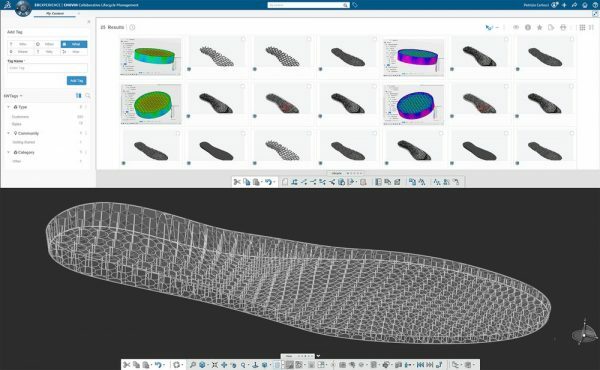 Dassault Systèmes’ cloud-based 3DEXPERIENCE platform can interpret biomechanic data into geometries for 3D printing, all without any operator intervention. Generative designs are validated through FEA simulations to ensure superior functionality. Want to learn more about the ECCO project? Learn more about Dassault Systèmes’ solutions for Consumer Goods and Retail companies. 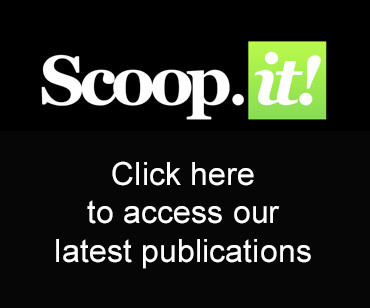 Share the post "FashionLab collaborates with ECCO on a 3D print footwear project"
FashionLab is now on S...	FashionLab is now on Scoop.it !